The 390s comprise “Customs, etiquette and folklore” which had a lot of books about fashion at my local library. I’m not that interested in fashion, but breasts, on the other hand, struck me as something worthy of spending a book reading about. Yalom writes here about how breasts became eroticized in eroticized in Western culture, which is an interesting statement in itself as it’s easy to forget that the eroticization of the breast is culturally determined and not a human universal. 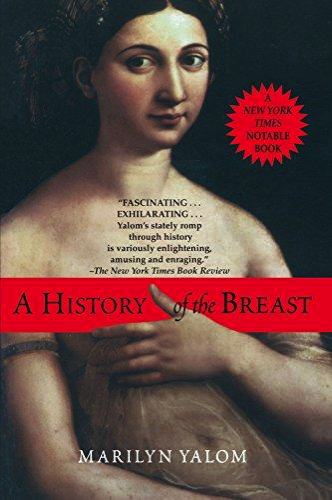 Perhaps most interesting is how Yalom manages to uncover what is at best an implicit narrative in cultural history considering such things as depictions of the breast in art to find the story.